​Paul Talbot is passionate about the non-profit sector. He supports NGOs and non-profits with training programmes and seminars designed to help address English communication needs within an NGO and non-profit context. Successful NGOs and non-profits cooperate with international partners to achieve their mission and vision. 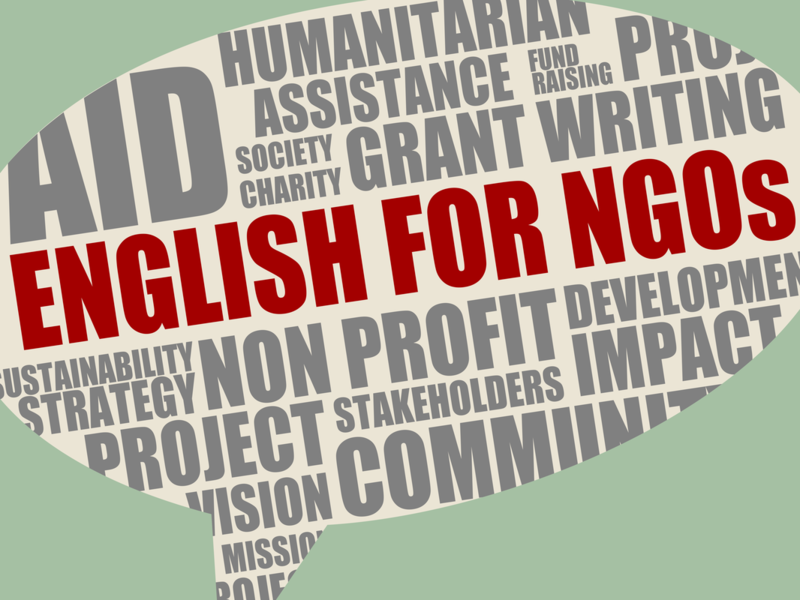 From development aid to grant writing, from international fundraising to impact reports, English communication is essential for many NGOs and non-profits. Paul shares your passion for positive social impact, and looks forward to working with you. Highly specific language requirements - for example, English for Projects and Funding Proposals, English for Sustainable Development etc. The goal of these programmes is make participants more confident, more comfortable and more proficient in how they communicate in English in the contexts that are most relevant to them and their organisations. As with all of Paul's programmes, the goal is to help you achieve a greater impact through your work. If you have specific requirements for an English training or coaching, please contact us to discuss how Paul can help. English training are available to individuals at all levels of English knowledge (see the Common European Framework of Reference for Languages). All potential participants will take a free placement test, to assess their general level of English and their professional interests. Participants will be grouped according to their language level and requirements. Final assessments - if necessary - will be discussed together with HR or the relevant course organiser. Participants may be required, for example, to demonstrate a specific skill or learning outcome through a presentation, submission of a written portfolio or a timed assessment. This will be designed to ensure that the skills developed can be effectively put to use in pursuing broader organisational objectives, and achieving a social and public-policy impact.